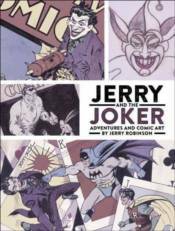 In this art-infused memoir by the late Jerry Robinson, learn how a seventeen-year-old became the artist on Detective Comics and Batman-and created one of the most famous villains of all time: the Joker. This volume includes never-before-published full-page artwork from Detective Comics and Batman, covers featuring Batman, Robin, and the Joker, and much more. Never-before-published artwork featuring Batman, Robin, the Joker, and more!